Dr. Mahsan Miladi joined the team in 2009, while it was located at the University of Maine. 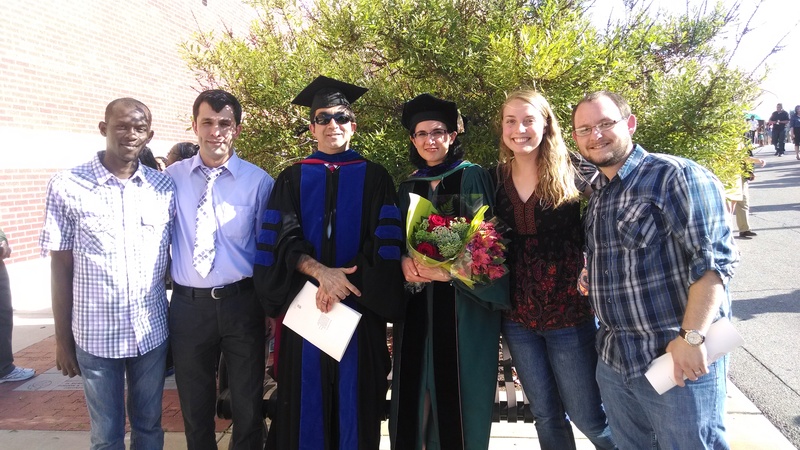 She completed her PhD in analytical chemistry at Baylor University in December 2014. She was born and raised in Iran and stayed there through her Master’s degree. She completed her Bachelor’s degree at Razi University in Kermanshah, Iran in 2003 and continued on to complete her Master’s degree in 2006. 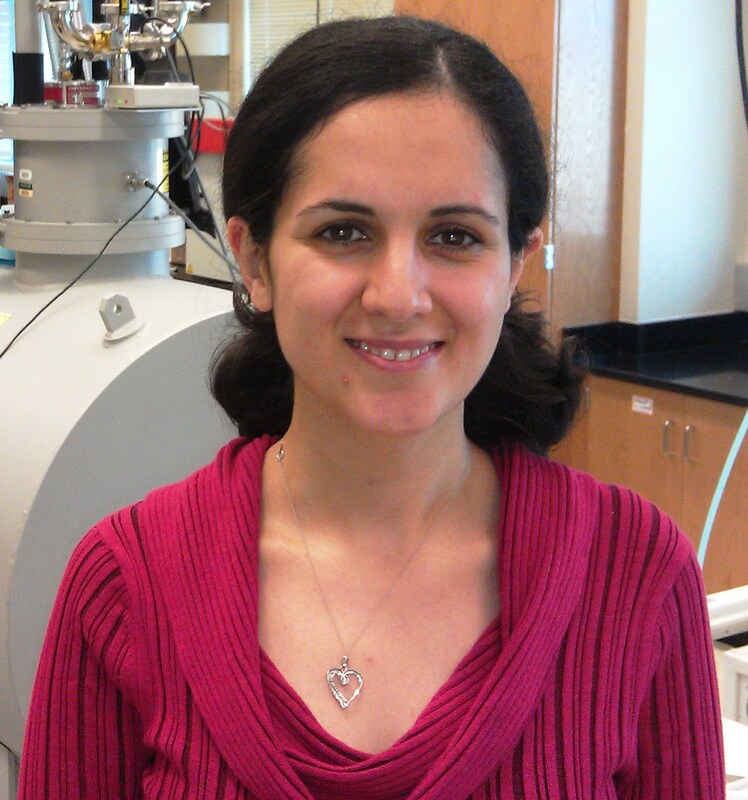 Dr. Miladi is currently an applications chemist for Agilent Technologies in California. 1. Miladi, M., Olaitan, A. D., Zekavat, B., Solouki, T. “Competing Non-covalent Host Guest Interactions and H/D Exchange: ND3 Reactions with Benzyloxycarbonyl-Proline Glycine Dipeptide Variants.” Journal of the American Society for Mass Spectrometry, 2015, 26(11), 1938-1949. 2. Harper, B., Miladi, M., Solouki, T. “Loss of Internal Backbone Carbonyls: Additional Evidence for Sequence-scrambling in Collision-induced Dissociation of y-Type Ions.” Journal of the American Society of Mass Spectrometry, 2014, 25(10), 1716-1729. 3. Zekavat, B., Miladi, M., Alfdeilat, A., Solouki, T. “Evidence for Sequence Scrambling and Divergent H/D Exchange and Proton Transfer Reactions of Substance P Isobaric b10 2+ Fragments.” Journal of the American Society for Mass Spectrometry, 2013, 25(2), 226-236. 4. Miladi, M., Harper, B., Solouki, T. “Evidence for Sequence Scrambling in Collision-Induced Dissociation of y-Type Fragment Ions.” Journal of the American Society for Mass Spectrometry, 2013, 24(11), 1755-1766. 5. Zekavat, B., Miladi, M., Becker, C., Munisamy, S. M., Solouki, T. “Combined Use of Post-Ion Mobility/Collision-Induced Dissociation and Chemometrics for b fragment Ion Analysis.” Journal of the American Chemical Society, 2013, 24(9), 1355-1365. 6. Miladi, M., Zekavat, B., Munisamy, S. M., Solouki, T. “A Systematic Study on the Effect of Histidine Position and Fragment Ion Size on the Formation of bn Ions.” International Journal of Mass Spectrometry. 2012, 316-18, 164-173. 7. Solouki, T., Khalvati, M. A., Miladi, M., Zekavat, B. “State-of-the-art Chemical Analysis of Xenobiotics and Residues in Plant Based Products: Plant Proteomics. In Organic Xenobiotics and Plants: From Mode of Action to Ecophysiology”, Edited by Peter Schroeder, Schroeder, P., Ed. Springer-Verlag Berlin Heidelberg: New York, 2011. 8. Ghasemi, J., Miladi, M. “Association Equilibrium of Methylene Blue by Spectral Titration and Chemometrics Analysis: A Thermodynamic Study.” Journal of the Chinese Chemical Society. 2009, 56, 1-10. 9. Ghasemi, J., Miladi. M. “Kinetic Spectrophotometric Determination of Thiosulfate Based on its Inhibitory Effect on the Oxidation of Methyl Red by Bromate.” Analytical Chemistry. 2006, 3, 99-102. 1. McCulloch, M.; Miladi, M.; Broffman, M.; Solouki, T. “Don’t Ask, Don’t Tell: Pesticide Residues and Patient Risks in Chinese Herbal Medicines.” 11th International Conference of the Society for Integrative Oncology, 2014, Houston, TX. 2. Miladi, M.; Olaitan, A. D.; Zekavat, B.; Lochridge, J.; Solouki, T. “Effect of Metal Ion and Neutral Reagent Type on Gas-Phase Adduct Formation.” Proceedings of the 62nd ASMS Conference on Mass Spectrometry and Allied Topics, 2014, Baltimore, MD. 3. Miladi, M.; Harper, B.; Solouki, T. “Sequence Scrambling in Collision-Induced Dissociation of y-Type Fragment Ions.” Proceedings of the 61st ASMS Conference on Mass Spectrometry and Allied Topics, 2013, Minneapolis, MN. 4. Harper, B.; Miladi, M.; Zekavat, B.; Solouki, T. “Probing the Effect of Primary Structure Variance on the Gas-Phase Conformations of Insulin and Lispro.” Proceedings of the 61st ASMS Conference on Mass Spectrometry and Allied Topics, 2013, Minneapolis, MN. 5. Harper, B.; Miladi, M.; Olaitan, D. ; Zekavat, B; Solouki, T. “Biomedical “XOmics” Research.” Enhancing Research Through Collaboration Retreat, 2013, Waco, TX. 6. Miladi, M.; Zekavat, B.; Solouki, T. “Proton Affinity-Based Kendrick Plots for Classification of Oil Samples: Potential in Source Characterization.” Proceedings of the 58th ASMS Conference on Mass Spectrometry and Allied Topics, 2010, Salt Lake City, UT. 7. Solouki, T.; Zekavat, B.; Miladi, M. “On the Existence of Structurally Different Isobaric bn Fragment Ions.” Proceedings of the 58th ASMS Conference on Mass Spectrometry and Allied Topics, 2010, Salt Lake City, UT. 8. Miladi, M.; Zekavat, B.; Al-Fdeilat, A. H.; Solouki, T. “Structurally Different Isobaric Bn Fragment Ions during Peptide/Protein Sequencing: Consequences for Top-Down Proteomics.” 12th Annual Graduate Student Research Expo, 2010, Orono, ME. 9. Zekavat, B.; Clark, J.; Miladi, M.; Solouki, T.; Farzaliyev, V. M.; Mammadova, P. Sh. ; Babayev, E. R. “Proton Affinity-Based Kendrick Plots for Classification of Oil Samples: Potential in Source Characterization.” 12th Annual Graduate Student Research Expo, 2010, Orono, ME. 10. Solouki, T.; Zekavat, B.; Miladi, M.; Rasaiah, J. C.; Silwal, I. K. “Characterization of Petroleum Samples by GC/FT-ICR MS.” Proceedings of the American Chemical Society (ACS) National Meeting, 2009, Washington, DC.